Shaanxi should not be confused with its neighbor Shanxi. Though the two provinces have identical pronunciations, Shaanxi (which should be transliterated as Shanxi in pinyin) is afforded an extra ‘a’ in order to differentiate its slightly different tone, which would ordinarily be symbolized by a tonal mark that is unfamiliar to those who have not studied the language. Native Chinese speakers have no such problem as the two characters are entirely different. Covering an area of around 200,000 square kilometers, roughly the size of Senegal and Kyrgyzstan, Shaanxi is covered in large areas by the yellow loess silt that colors the Yellow River and with which the Chinese allegorically associate themselves. Considered the historical cradle of the Chinese civilization, Shaanxi is bordered by Inner Mongolia to the north, Shanxi to the east, Henan and Hubei to the southeast, Chongqing and Sichuan to the south, Gansu to the west, and Ningxia to the northwest. 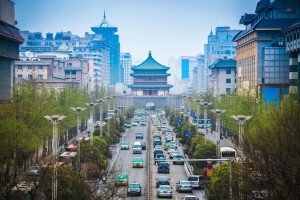 Its capital, Xi’an, was the historical starting point of the Silk Road, and it was around Xi’an that China’s first imperial capital was based after China was first united under the Qin Dynasty 221-206 BCE. 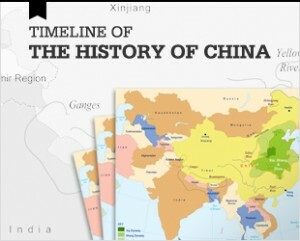 Shaanxi remained the political center of China until the end of the ninth century when the imperial court moved east. In 1556, Shaanxi was hit by an 8.0 magnitude earthquake killing over 830,000 people, still ranked as the deadliest earthquake in human history. The death toll was high because many of its citizens were living in caves which collapsed during the tremors. Its caves around Yan’an later became a Chinese Communist Party base during the 1930s and 1940s when the Nationalists forced the Communists on Long March which eventually led them to the remote northwest of the country. Shaanxi has a population of roughly 39 million, making it slightly more populous than Canada. The population is almost entirely composed of Han, although there are more than 30 minorities registered in Shaanxi in small numbers. The largest minority is the Hui followed by small populations of Manchu, Mongolian, Korean, and Tibetan peoples. 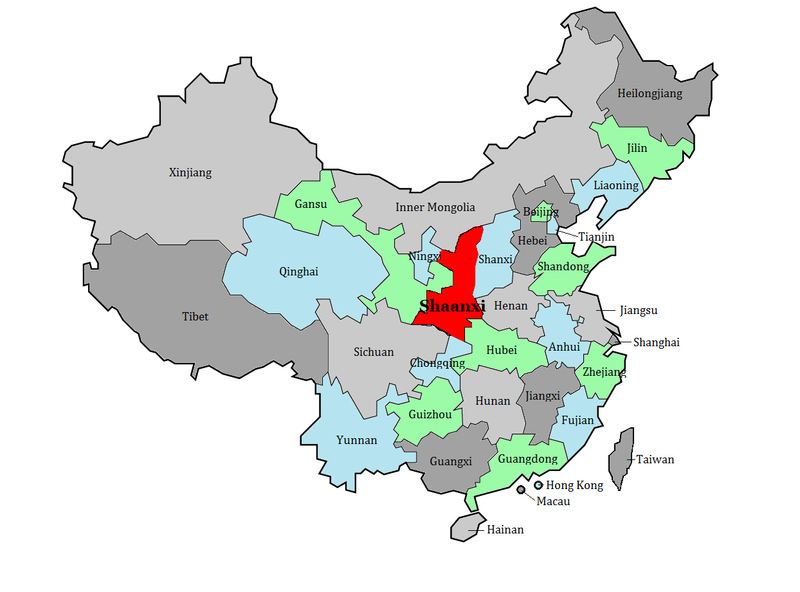 A large majority of Shaanxi’s population live in its five main cities – Xi’an, Baoji, Xianyang, Tongchuan, and Hanzhong. 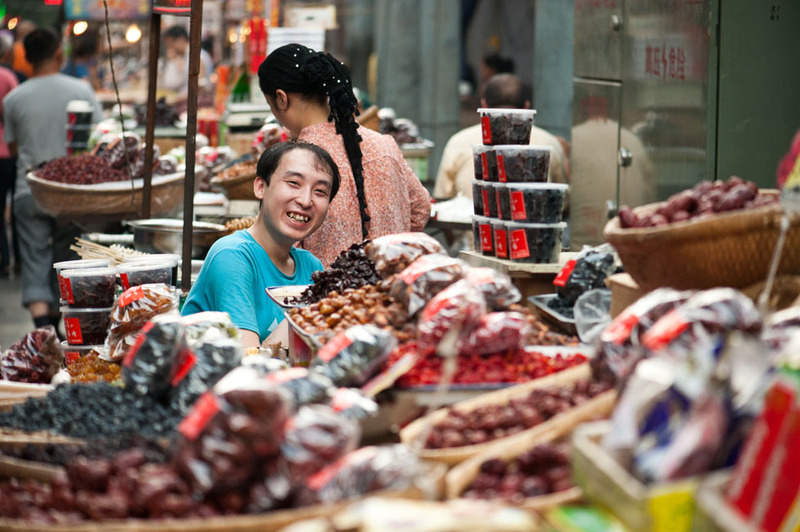 Xi’an is the province’s largest city and is its primary industrial, communications, educational and touristic hub. Shaanxi’s agricultural production varies throughout the province. Shaanxi’s southern Hanzhong Basin region is a large rice and wheat producing area; it also supports cash crops including tea, tung oil, citrus, and other fruit. Shaanxi’s cooler Qin Mountain range grows maize and winter wheat. The Wei River and Jing Valleys produce rice, winter wheat, tobacco, cotton, millet, barley, corn and kaoliang. In the Upper Wei and Jing reaches, millet, oats, buckwheat, hemp, sesame, sugar beets, and rapeseed are grown. Shaanxi’s northern plateau farms spring-sown wheat and millet, but these crops are highly dependent on irrigation as the Shaanxi’s northern plateau area shares a climate similar to that of dry, pastoral Inner Mongolia. As a result, livestock herding becomes increasingly common in Shaanxi’s north. Some food and beverage processing, especially apple juice, has developed alongside Shaanxi’s agricultural regions, especially in the south. In order to improve Shaanxi’s agricultural productivity, much work has been done to reverse the substantial soil erosion that has occurred in the province, particularly north of the Qin Mountains. Efforts include the increased usage of agricultural terraces, the planting of trees and grasses, the extension and repair of irrigation networks. To prevent further desertification in the area, Beijing is also planting a massive tree belt extending about 600 kilometers from northeastern Shaanxi across Ningxia and into Gansu. 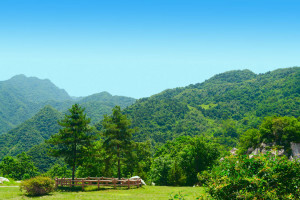 In addition to agriculture, Shaanxi is an important natural resource center. Shaanxi has one of China’s largest coal reserves, and a sizeable coal industry. Shaanxi also mines for iron ore, manganese, rhenium, strontium, molybdenum, graphite, zeolite, limestone, barite and gold. Considerable reserves of petroleum and natural gas as well as smaller reserves of shale oil also dot the province; overall Shaanxi is one of China’s largest producers of coal, natural gas and crude oil. Shaanxi also produces energy from thermal and hydroelectric plants, and exports electricity to its neighbors. Shaanxi’s main industries include petrochemicals, high-technology, electrical equipment, chemical manufacturing, iron and steel manufacturing, machinery, auto parts, pharmaceuticals, cement, cotton and textile manufacturing. Shaanxi also contributes to the development of China’s aircraft and aerospace industries both through manufacturing and by housing significant aeronautic R&D efforts. The province also produces some consumer goods including bicycles, radios, televisions, watches, and apparel. 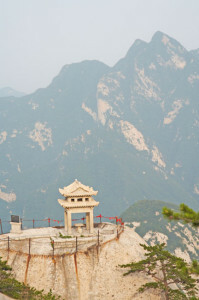 As Shaanxi spans a wide latitude, and is characterized by three physiographic regions. 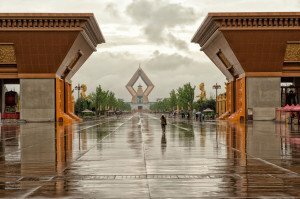 Its north is composed of an immense upland plateau whose western rim forms the Liupan Mountains, which run from the west of Shaanxi into Gansu and Ningxia. The smaller Baiyu and Huanglong ranges run underneath the Liupan Mountains; their waters run into the Luo River system and eventually into the Yellow River. Most of Shaanxi’s northern region has been hard hit by erosion and is often covered by loess silt blown in from the Gobi and Ordos deserts. This erosion has been worsened by humans whose excessive farming and animal grazing has destroyed natural vegetation cover. Shaanxi’s middle region is defined by the Wei River Valley and alluvial plain, the Wei being an important tributary of the Yellow River which runs west-east across the province. Most of the valley is covered in loess, and its river waters are highly silted. The south of the Wei River Valley is bordered on the south by an array of faults and fractures along the base of the Qin Mountains and is especially vulnerable to earthquakes. Shaanxi’s south is very mountainous, and is a significant drainage area of the Han River, one of the main tributaries to the Yangtze. The Han River flows between the Daba and Qin Mountains. The Qin are structurally an extension of the Kunlun Mountains which eventually merge into the Funiu and the Xiong’er Mountains in Henan. The Kunlun/Qin mountains form a barrier dividing northern and central China. The Daba break briefly in Shaanxi’s far southwest where the Jialing River cuts through to flow into Sichuan in route to join the Yangtze at Chongqing. 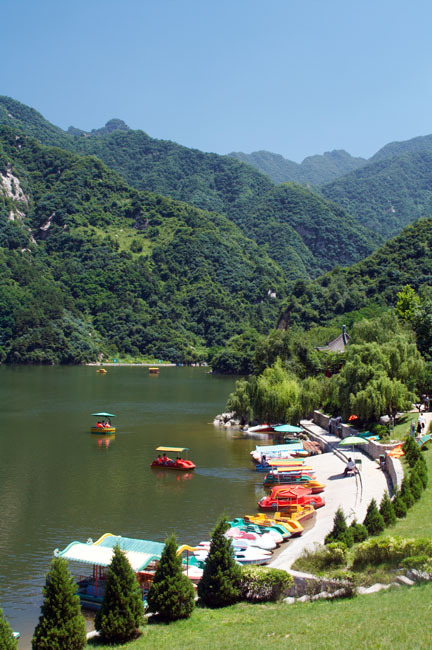 The Jialing Valley forms a major transport and communication artery between the Wei River valley in central Shaanxi to Sichuan and the southwest. The Han River broadens near Hanzhong into a fertile farming basin of around 1000 square kilometers before narrowing again as it flows between mountains through deep gorges until it reappears in the alluvial plain of Hubei province. 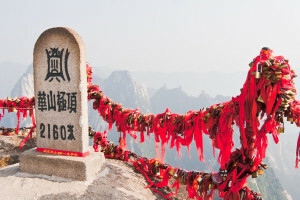 Three passes cross the Qin in Shaanxi – the Sanguan Pass south of Baoji providing access to the Jialing River valley; the Gaoguan Pass south of Xi’an, providing access to the Hanzhong Basin; and the Lantian Pass southeast of Xi’an, which leads to Henan and Anhui. Close to Xi’an is China’s world famous subterranean Terracotta Army discovered in March 1974 by a group of farmers digging a water well. Buried with Emperor Qin Shi Huang, founder of the Qin dynasty and considered the first true emperor of China, the army is a form of funerary art; the emperor was thought to have required the army to rule in the afterworld. The Army consists of hundreds of surprisingly realistic, life-size figures of soldiers, some of which originally held real weapons, such as spears and crossbows, arranged in battle formation. To date, three different ‘pits’ containing these warriors have been unearthed. 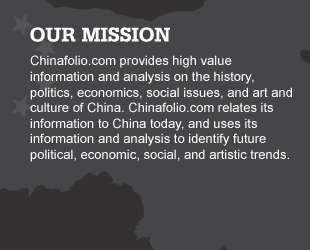 The site is a UNESCO World Heritage site and is considered by many to be a true highlight of their China travels. 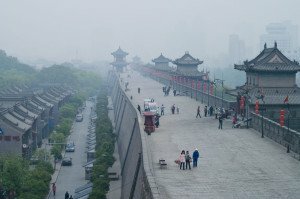 Xi’an, the province’s capital, is surrounded by Ming-era walls a top which it is possible to walk or cycle. Within these walls, among other sites, is a vibrant Muslim quarter with maze-like narrow streets in which small mosques blend with vendors who sell a startling array of goods. As part of its Muslim heritage, Xi’an’s Great Mosque is one of China’s largest, and merges both Chinese and Islamic architecture. Xi’an’s Shaanxi History Museum and its Xi’an Museum both offer excellent collections of artifacts spanning a large period of the area’s history. Its important collection of temples and pagoda’s include the 652-era Big Goose Pagoda constructed as home to the Buddhists texts brought back from India by the monk Xuan Zang whose travels inspired one of China’s most famous pieces of literature – the Journey to the West as well as the Daoist Temple of the Eight Immortals constructed during the Song Dynasty. Close to the Xi’an airport is the Tomb of Emperor Jingdi (188-141 BCE) also referred to as the Han Jing Mausoleum. Jingdi was a follower of Daoism and the artifacts in his tomb reflect his preoccupation with daily life as compared to the military focus of the Terracotta Warriors. Famen Temple 115 km northwest of Xian combines a sometimes glaring mix of modern Buddhist temple buildings with an older historic section housing what is believed to be the finger bone of the Buddha. It also has an excellent museum of Tang-era artifacts.